Cambodia is a country that I had never expected to work in. Nevertheless, after the pleasant morning when I got offered the internship position, at the organization that I always wanted to work for. 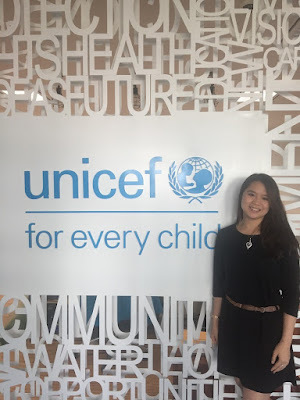 My excitement was manifested in learning about Cambodia’s history and UNICEF Cambodia’s country programme. 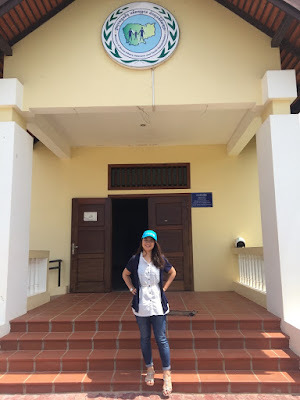 As an International Child Protection Intern, my prime responsibility involved interviewing 29 social workers from five priority provinces (Phnom Penh, Kandal, Preah Sihanouk, Siem Reap, and Battambang). 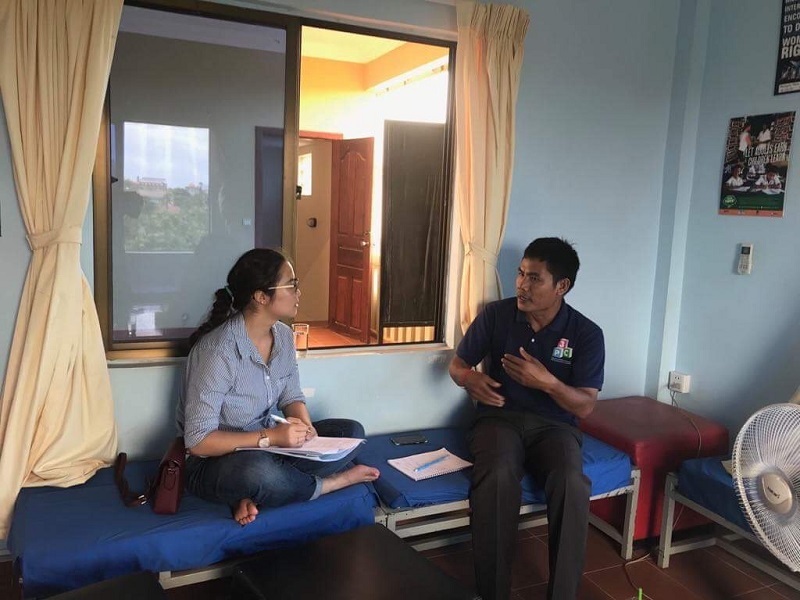 The interviews were conducted in order to analyze data to understand the achievements, challenges and needs of social workers in Cambodia and to draft a “Business Case” project. The project ought to help the Ministry of Social Affairs, Veterans and Youth Rehabilitation (MoSVY) as an advocacy tool for more financial and human resources allocation to strengthen the social work workforce. While I have been privileged enough to live in a country with an established social work system, it soon became apparent that I overlooked the service gaps in a developing country. On a mission to the provinces for data collection, I heard shocking stories from the social workers, witnessed the extreme forms of poverty, learned about service challenges and policy gaps in social service provision, but yet admired the social workers’ resiliency to advocate for their clients and meet their needs. The social workers I interviewed all worked on the Government and UNICEF’s Action Plan to safely return children from Residential Care Institutions back to family- and community-based care. Discovering social workers have to follow up with clients that moved out of jurisdiction without standardized work conditions and competencies was a shock for me. One social worker in Siem Reap province told me that it’s normal for him to travel outside of provinces and work more than 12 hours to visit cases, at times. I felt uneasy hearing that and kept thinking how the child protection system in the United States was well-established and how could I help improve the efficiency and effectiveness of the child protection programme, with my limited time. Interviewing a social worker who works at Friends International in Siem Reap. • The average caseload for 29 social workers is 55.24 cases. • The primary area of practice is children and family, with limited practice experience and population with specialized needs, such as juvenile justice, victims of crime, ethnic minorities, and LGBTQI groups. • Policy gaps, multidisciplinary collaboration, and work safety are social workers’ main concerns. • There is a need to build the social workers’ capacity on crisis intervention, diversion of juvenile offenders, and community organization and mobilization. The caseload for social workers are high, compared to what me and my colleagues in America have managed. Nevertheless, the social workers are all able to perform responsibilities associated with reintegration and case management, but their competencies and knowledge across areas are not consistent, which is an indication that there should be a standardized requirement and competencies for social work practice in Cambodia. As I learned about the child protection situation in Cambodia , I recognized the importance and impact of the “Business Case” project, as it will address the shortage issue of social workers and strengthen the social work workforce to provide effective and quality child protection and social protection services in Cambodia. In front of DoSVY Siem Reap during a mission to interview social workers. I admired the social workers resiliency in their quest to promote and protect the wellbeing of children in face of the challenges and obstacles they experience. One memorable interview was with a 24-year-old social worker in Battambang. She iterated the need of social work in the country and the impact she hopes to make. As I hear the social workers reiterate their motivation for choosing the profession, I rekindled my own. After experiencing compassion fatigue and burnout interacting with clients in a direct practice capacity, I was constantly frustrated of my lack of knowledge, lack of ability, and lack of power to help my clients to meet their expectations. After being exposed to macro-level work, I had refused to take on clinical work-as I had been stuck in the mentality that prevention is much more important than intervention. During a visit to Sihanouk Ville to follow up on children who were just reintegrated to their family. My takeaway from this internship is that technical knowledge matters- which, for me, are social work and human trafficking, as I was fortunate enough to help build the capacity of social workers, strengthen the social work workforce, and contribute to other Child Protection Section projects pertaining to child trafficking. The UNICEF Cambodia experience is beyond meaningful and valuable. I accumulated memories for life in the summer of 2018 and acquired first-hand experience in development work in Southeast Asia. Not only did working with the UN opens doors for great opportunities ahead, but also, I had the chance to connect with UN personnel and hear their professional trajectories. Working with dedicated and passionate people solidified my commitment to follow my dreams and work in international development. I have gained substantial technical knowledge in child protection and the UN framework, research skills, and cultural humility working in a multi-cultural organization. Since working in the UN or similar international organizations has been a goal of mine, looking forward, this experience would surely be handy as I continue the pursuit of my dreams.